What information does CCS collect? We collect information that you submit to us voluntarily through the use of online forms, in e-mail or other communication you send to us or information you give to us in any other way. Personal information may include your name, e-mail address, mailing address and phone number. 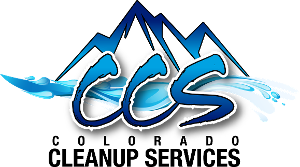 What does CCS use your information for? o We continually strive to improve our website and service offerings based on the information and feedback we receive from you. o Your information helps us to more effectively respond to your customer service requests and support needs. o Your information, whether public or private, will not be sold, exchanged, transferred, or given to any other company other than for the expressed purpose of delivering the purchased product or service requested. o The email address you provide may be used to send you information and updates pertaining to your order, in addition to receiving occasional company news, updates, related product or service information, etc. Note: If at any time you would like to unsubscribe from receiving future emails, please notify our office in writing. How does CCS protect your information? We implement a variety of security measures to maintain the safety of your personal information and is only accessible by those authorized and are required to keep the information confidential. Yes. Cookies are small files stored by your web browser that enables the sites or service provider systems to recognize your browser and capture and remember certain information. We may contract with third-parties to assist us in collecting this data, but they are not permitted to use the information collected for reasons other than to help us conduct and improve our business. We do not sell, trade, or otherwise transfer personal information to outside parties, unless they are trusted third parties who agree to keep this information confidential. We may release your personal information to comply with the law, enforce our site policies, or protect rights, property or safety. Non-personal information may be provided for marketing, advertising or other uses. Our website is not directed at minor children under the age of 18. We do not intentionally gather personal information about visitors who are under the age of 18 years of age.